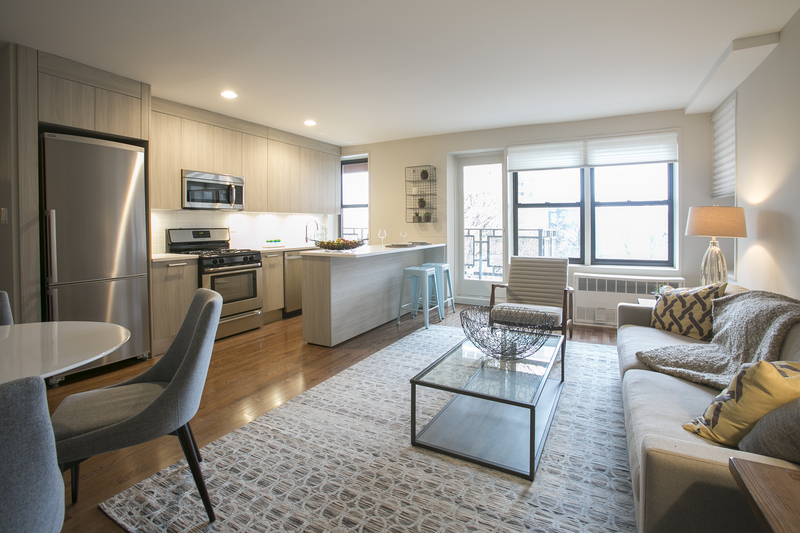 NEW YORK—A large co-op redevelopment in Queens has attracted overwhelming interest from prospective buyers desirous of its conveniences, such as quality finishings and in-house laundry, which are rare offerings in the area. 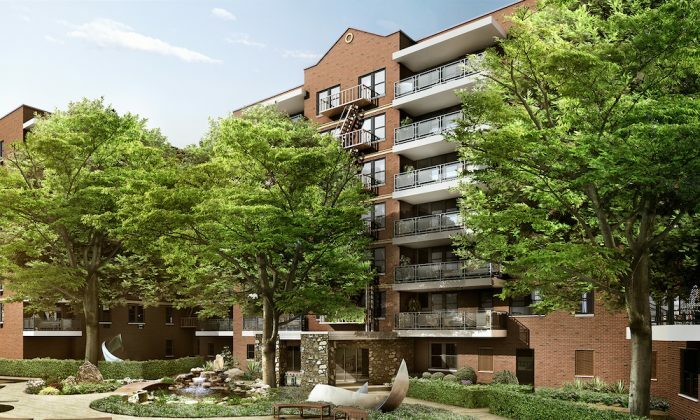 Developers Myles Horn, ABC Properties, and Fisher Associates bought 79 unsold units in The Continental Park, a 153-unit co-op in Elmhurst, in November 2013. Sixty-one of the units were occupied by free-market tenants, and 18 were rent stabilized. When the free-market tenants’ leases expired they were vacated, and the development team began work extensively renovating the units. “I didn’t just renovate them. I changed the design and the layout of the apartments. And then we spent a great deal of money, relative to Queens, to highly renovate and design them,” said Myles Horn, the lead developer. The apartments are outfitted with espresso solid oak wood flooring and huge closets. The kitchens feature imported Italian cabinetry, stainless steel appliances, and custom white stone countertops. Many of the apartments have washer and dryer hook ups, and some have dishwashers. All of the bathrooms are outfitted with imported Nemo Marvel porcelain wall and floor tiles, custom tubs, and Kohler and Grohe fixtures. Some even have a private outdoor terrace. The development team worked with existing co-op tenants to replace the building’s three elevators and install a new heating system (converting the system from oil to gas). They are also reinforcing the building’s brick façade and balconies, and replacing the roof. “We are making significant capital improvements to the building … so it’s a win-win for everyone,” Horn said. The building’s common areas are undergoing a gut renovation. The developers are recreating the entryway to the building. Behind the gated entrance, a landscaped garden, with a pond, a footbridge, and several sitting areas are being installed. A new lobby will have a contemporary feel, with exposed stone and warm wooden accents. All the hallways and the mailroom are being renovated. Developers are also adding amenities, including a gym, and a media room and lounge for residents. “This is what we do. We come into co-ops that have seen better days. We spend money to improve the property and then the apartments, and then we sell them, and we sell them quickly,” Horn said. “We’ve done this all over Queens, and quite frankly, although I have some large ongoing projects in Manhattan and elsewhere, Queens is to my mind the last undiscovered country in New York City, and I think it’s the place of the next great development,” Horn said. The Continental Park is located next to the new Elmhurst public library, which is due to open next year. Tenants have a three-minute walk to the Grand Avenue-Newtown subway stop (R and M trains) and Starbucks, and a two-minute walk to a large Chinese supermarket. 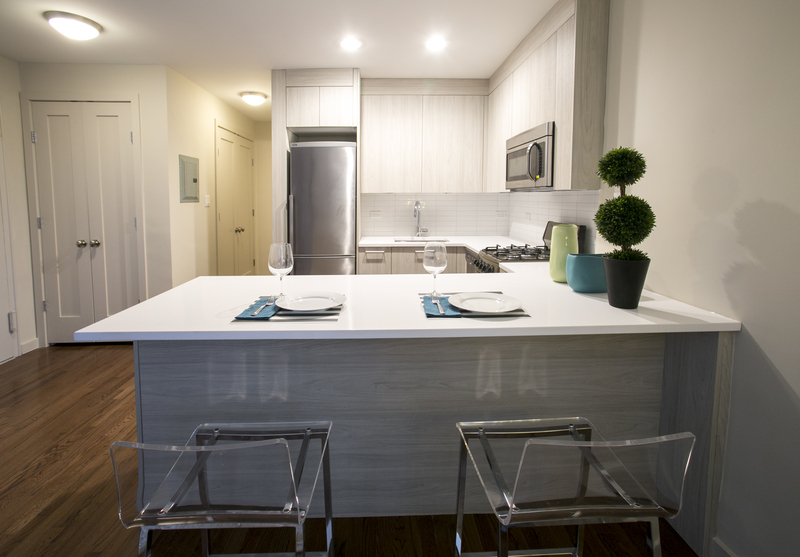 Studios at The Continental Park, which are around 500 square feet, started at $185,000. Two-bedrooms, which range from 830 square feet to 1,050 square feet, sell for $347,500. On opening weekend, Oct. 18, more than 1,000 people viewed the complex. Since then, all of the studios, one-bedroom, and three-bedroom units are in contract or pending contract. 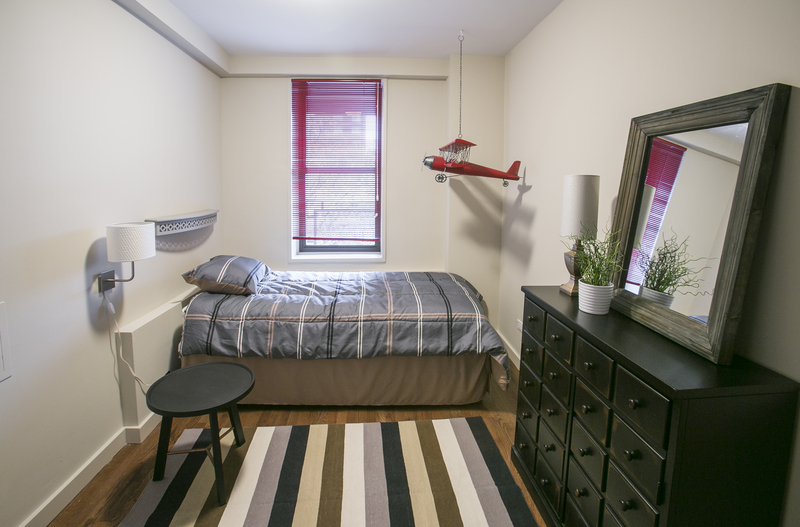 Two-bedroom units are still available. Lester Lin, who owns a title insurance company with his brother in Bayside bought a two-bedroom, 950-square-foot apartment at The Continental Park. “The place that I live in right now, it’s like garbage … literally you can’t fit your stuff into the closet,” he said. Lin is renting at Elm East on Broadway and Queens Boulevard, in Elmhurst, just a block or so from his new two-bedroom. He said the fridge in his apartment at Elm East was so small he had to buy a bigger one. He also had to install a kitchen island to make the apartment more functional. The thing he loathed most was going outside to do his laundry—and the rent was too high. The washing machine and dryer, plus the dishwasher, in The Continental Park really closed the deal for him. “That was all I cared about,” he laughed. Lin said he wanted to continue living in Elmhurst. He works with the homeless through his nonprofit City Mission, and his church is in Elmhurst. Monthly maintenance fees for two-bedroom units cost around $800, according to Yael Goldman, associate broker with Nu-Place Realty, which is handling exclusive marketing and sales for the building. These apartment sales do not require board approval. Erfang Chen, 26, works in investment management. He is in contract for a three-bedroom apartment at The Continental Park. He and his wife were most impressed by the kitchen renovations, and the proximity to Chinese restaurants and culture, while still being close enough to Midtown Manhattan. “They promised to renovate the building with modern decor and amenities, which was vastly important to our purchase decision as well,” he said via email. Horn redeveloped The Printing House in the West Village, where asking prices in the remaining units start at $1.85 million. The project is now 80 percent sold. By Horn’s estimate, he has developed more than 4,500 residences in the New York metropolitan area, with more than 1,500 of them in Queens. “I like the challenge of being in different boroughs, with different products, and different price points. It’s a challenge, and quite frankly it’s fun,” Horn said. Every time Sabina Ptacin parks her little blue and white car on the streets of Brooklyn or Manhattan, passersby stop and ask about her ride.